SAN JUAN, Puerto Rico Famed Puerto Rican boxer Hector "Macho" Camacho is clinically brain dead, doctors said Thursday, but family members disagreed on whether to take him off life support and two of the fighter's aunts said later that relatives had agreed to wait two more days. Dr. Ernesto Torres said doctors had no more medical tests to perform on Camacho, who was shot in the face Tuesday night. "We have done everything we could," said Torres, who is director of the Centro Medico trauma center in San Juan. "We have to tell the people of Puerto Rico and the entire world that Macho Camacho has died, he is brain dead." He said at a news conference Thursday morning that Camacho's father indicated he wanted the boxer taken off life support and his organs donated, but other relatives opposed the idea. "This is a very difficult moment," Torres said. One of the fighter's aunts, Aida Camacho, said Thursday evening that two of Camacho's sisters had asked to have two more days to spend with him, and other family members had agreed even though they felt it was time to give in. "I'm a person of a lot of faith, and I believe in miracles, but science has spoken," she said. Another aunt, Blanca Camacho, also said the family had agreed to the wishes of the two sisters from New York to hold off on ending life support. But, she added, "There's nothing left here. He's already dead." Most of Camacho's relatives left the hospital by Thursday night without commenting. About a dozen people stood vigil outside. One, Orvil Miller, a singer and actor, expressed sadness about Camacho's fate and recalled his admiration for the fighter's flamboyance. "He had the combination of the skills of a boxer along with a great sense for entertainment," Miller said. "He is one of the greatest small fighters that I have ever seen," he said. "Hector Camacho had a legendary status." Tannenbaum said he initially believed Camacho would survive. "He was almost like the indestructible man. He had so many troubles with the law, so many altercations in his life. It's a great shame." "That lack of oxygen greatly damaged Macho Camacho's brain," Torres said. 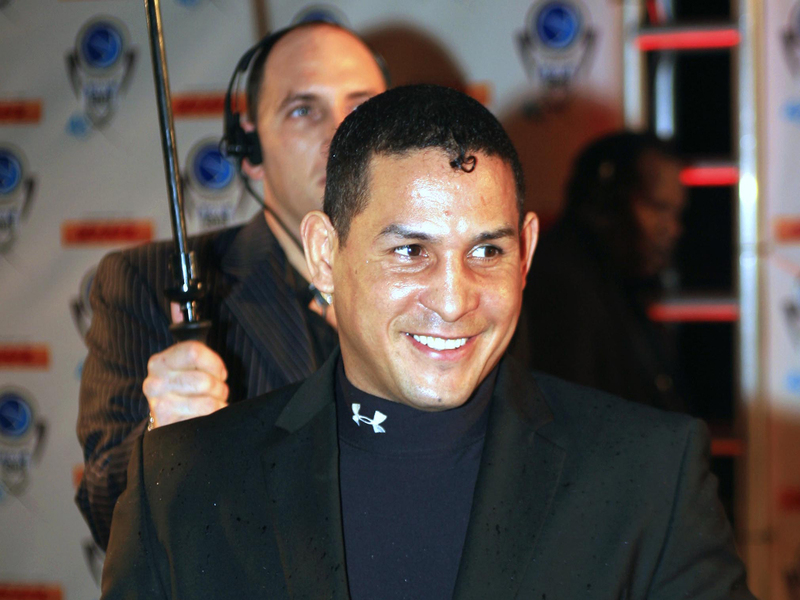 Camacho was born in Bayamon, a city within the San Juan metropolitan area, but he grew up mostly in New York's Harlem neighborhood, earning the nickname "the Harlem Heckler." He won super lightweight, lightweight and junior welterweight world titles in the 1980s and fought high-profile bouts against Felix Trinidad, Julio Cesar Chavez and Sugar Ray Leonard. Camacho knocked out Leonard in 1997, ending the former champ's final comeback attempt. Camacho had a career record of 79-6-3. In recent years, he divided his time between Puerto Rico and Florida, appearing regularly on Spanish-language television as well as on a reality show called "Es Macho Time!" on YouTube. In San Juan, he had been living in the beach community of Isla Verde, where he would readily pose for photos with tourists who recognized him on the street, said former pro boxer Victor "Luvi" Callejas, a neighbor and friend.